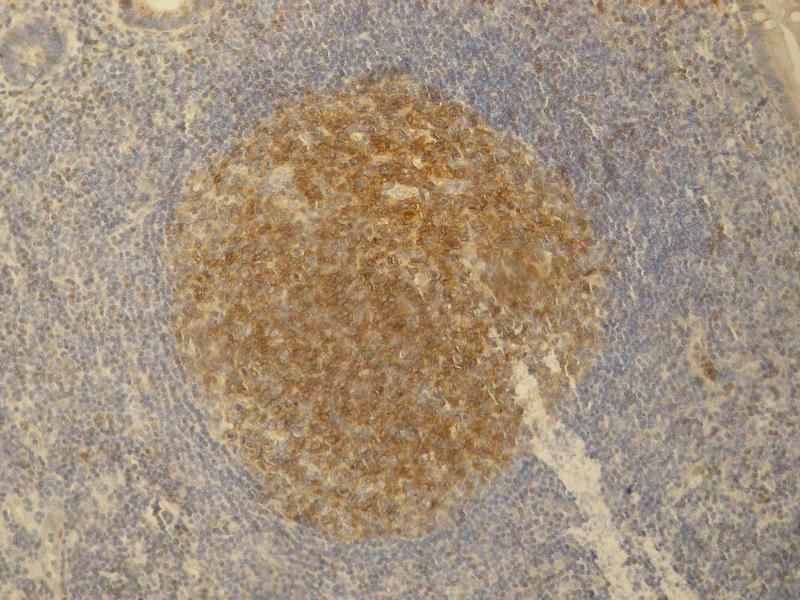 Immunohistochemistry staining (paraffin sections) of PAG/Cbp in germinal center of lymphatic follicle and in dispersed T cells in appendix tissue by monoclonal antibody. 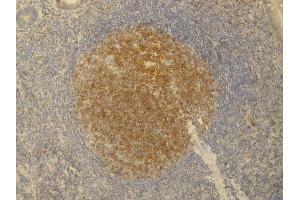 Positive signal in T cells. Specificity The antibody PAG-C1 recognizes an epitope located in the C-terminal domain of Csk-binding protein (Cbp / PAG), a 46 kDa ubiquitously expressed transmembrane adaptor protein present in membrane rafts (glycosphingolipid-enriched microdomains), which however migrates on SDS PAGE gels anomalously as an 80 kDa molecule. 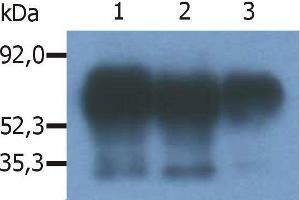 Immunogen C-terminal peptide (last 15 amino acids) of human Csk binding protein coupled to KLH. 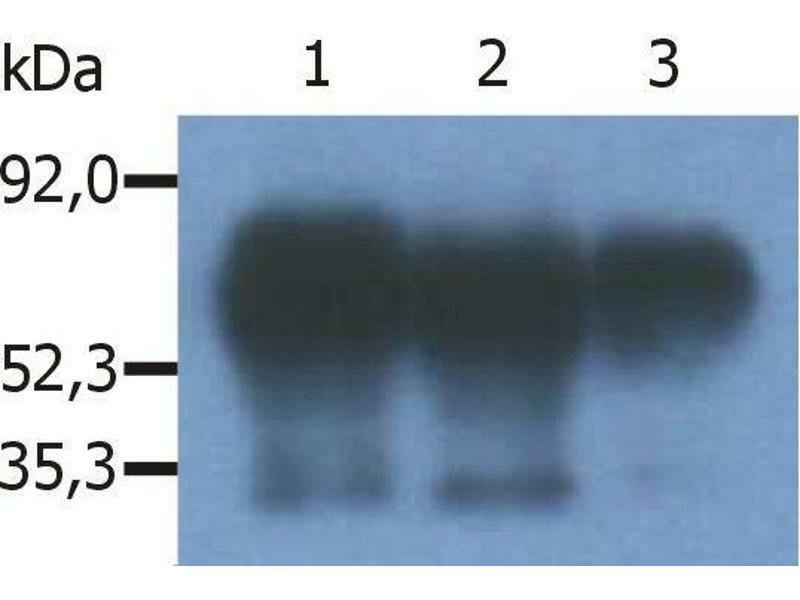 Background PAG (phosphoprotein associated with GEMs), also known as Cbp (Csk-binding protein), is a ubiquitously expressed 46 kDa transmembrane adaptor protein present in membrane rafts (glycosphingolipid-enriched microdomains), which however migrates on SDS PAGE gels anomalously as an 80 kDa molecule. Following tyrosine phosphorylation by Src family kinases, PAG binds and thereby activates the protein tyrosine kinase Csk, the major negative regulator of the Src family kinases. Signaling via the B-cell receptor in B cells or high affinity IgE receptor (FcepsilonRI) in mast cells leads to PAG increased tyrosine phosphorylation and Csk binding, while T cell receptor signaling causes PAG dephosphorylation, loss of Csk binding and increased activation of the protein tyrosine kinase Lck.